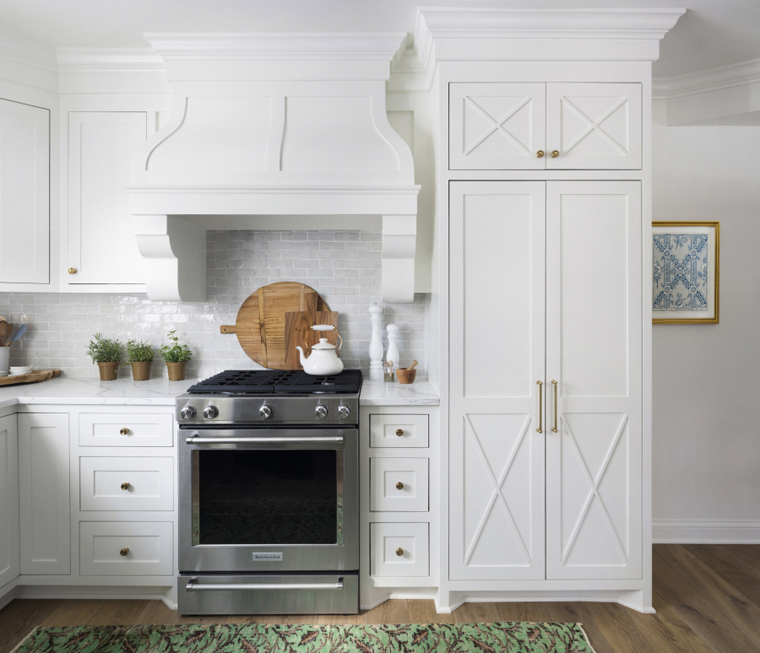 There’s so much design talent based out of my home state of Minnesota…one of my favorites being Bria Hammel Interiors. I absolutely adore her bright, fresh and feminine style! Bria’s designs are nothing short of beautiful, functional and inviting and this Minneapolis home is no exception. 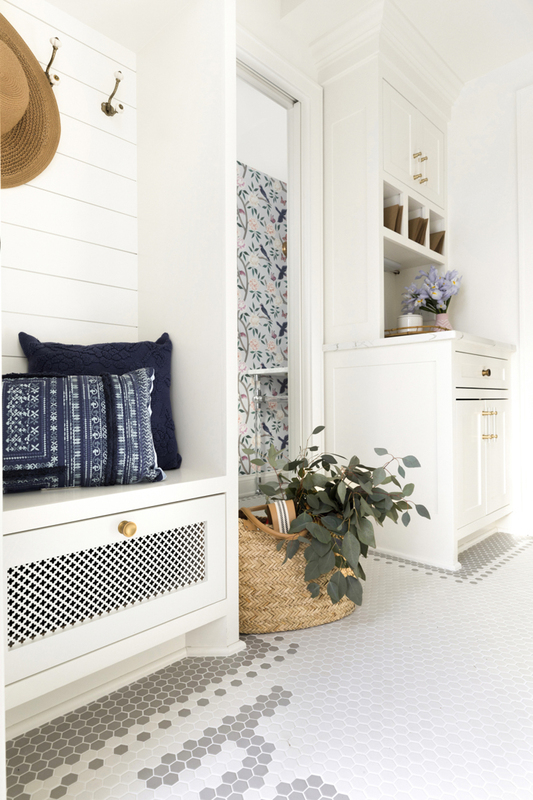 The talented designer worked with Stephen Longman Builders to completely restore and update the charming 1925 Tudor captured by Spacecrafting, filling it with layers of pattern and a palette of pretty pastels that flow seamlessly throughout the home. 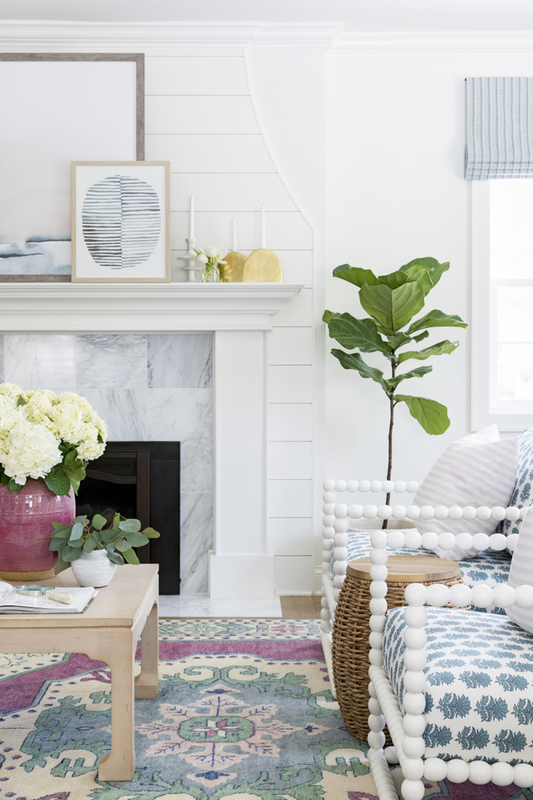 I just couldn’t get over the living room when I first saw it–the colors, patterns and textures, all downright perfection! The gorgeous Caitlin Wilson rug was the jumping-off point for the space. Loving the spindle chairs too! 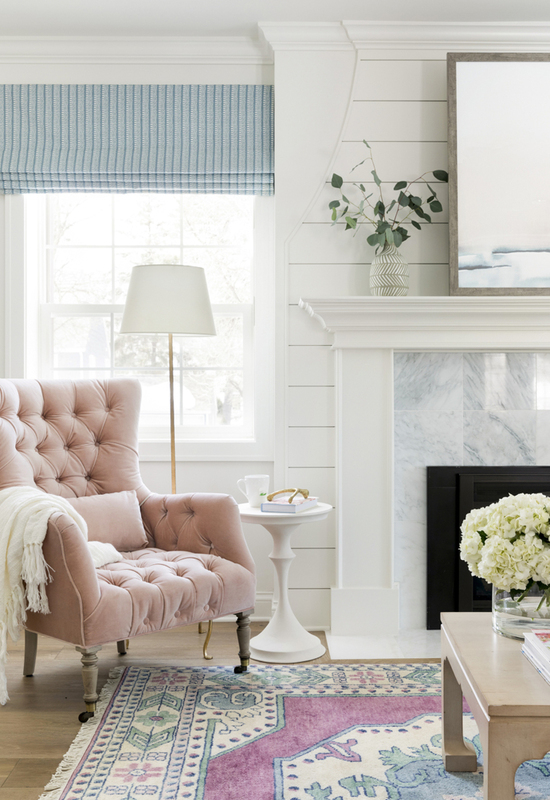 I love how the designer gave the existing fireplace new life by adding a custom shiplap surround. 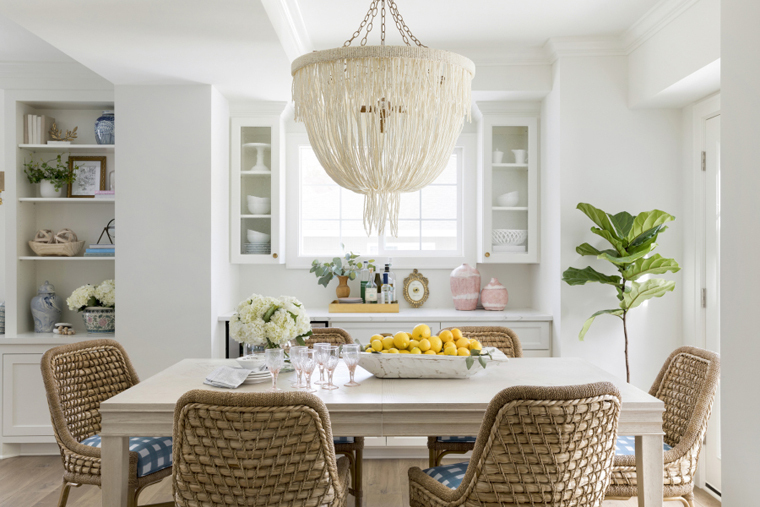 I can’t stop drooling over every inch of this dining room, especially the chairs and chandelier. The kitchen is an absolute dream. So many stunning custom details everywhere you look! 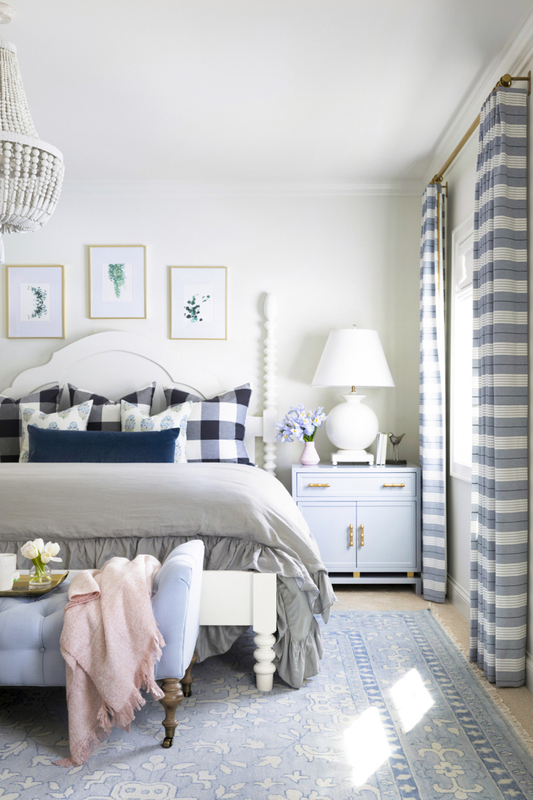 The palette of cool blues, whites, and grays make the master bedroom a tranquil getaway. It wouldn’t be a Bria Hammel design without some fab wallpaper! The colors in the Caitlin Wilson wallpaper are perfect for the home. 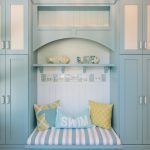 This might be my dream mudroom! 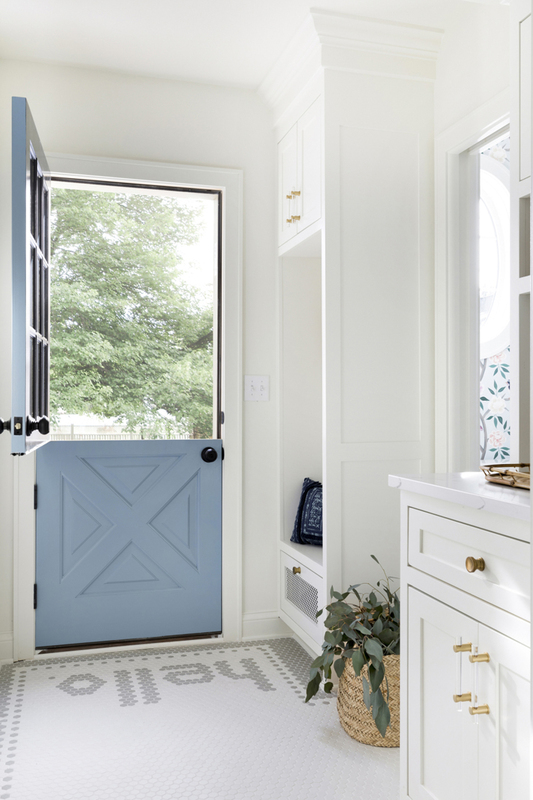 LOVE the dutch door and custom “hello” script in the tile. So fun! 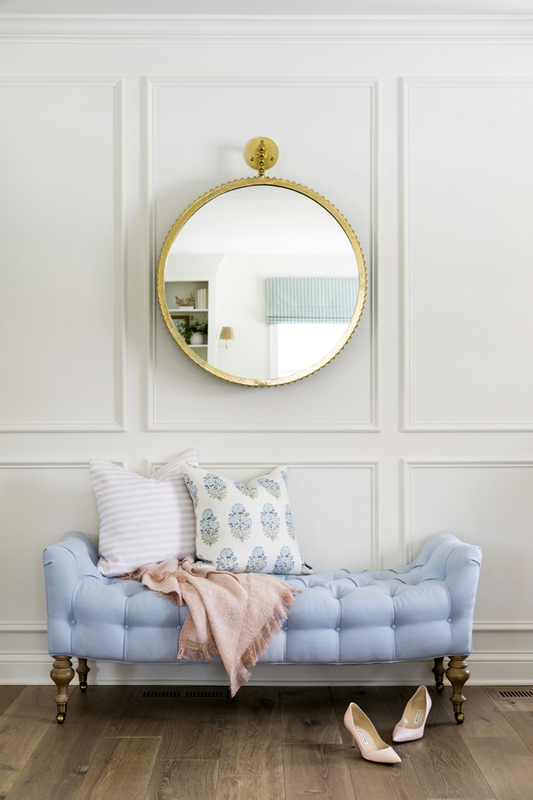 To read all about the home and see more photos, visit Bria’s blog as well as the feature on Style Me Pretty. 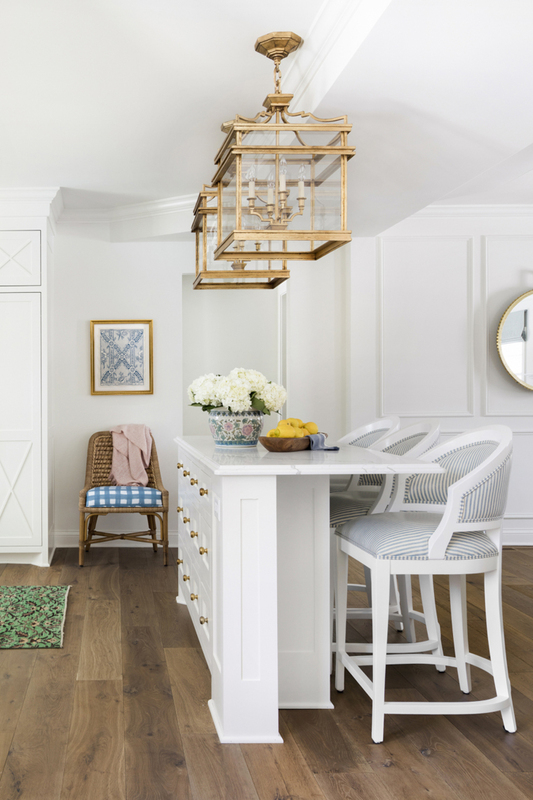 Be sure to visit Bria Hammel Interiors to shop their favorite looks, see more of their projects and check out their inspiring blog. Their Instagram feed is one of the prettiest around too! Downright perfection is right! Love it!! This is so beautiful! 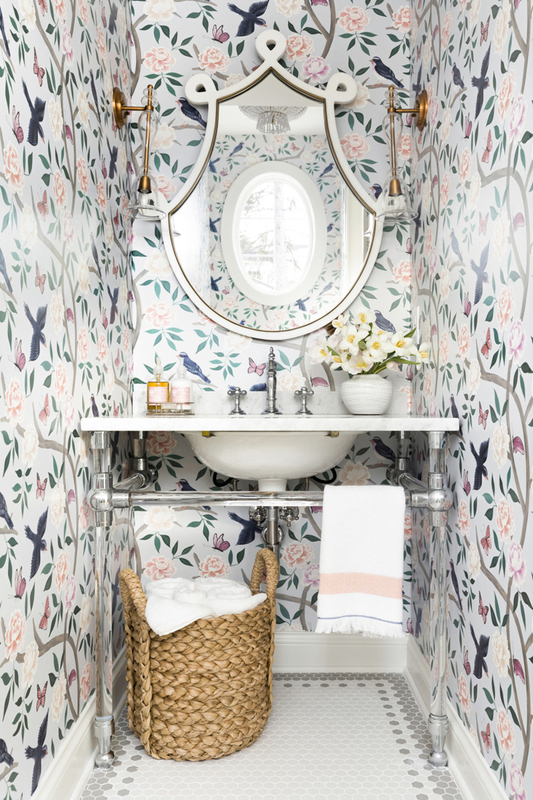 That powder room is perfection! Thanks for sharing! 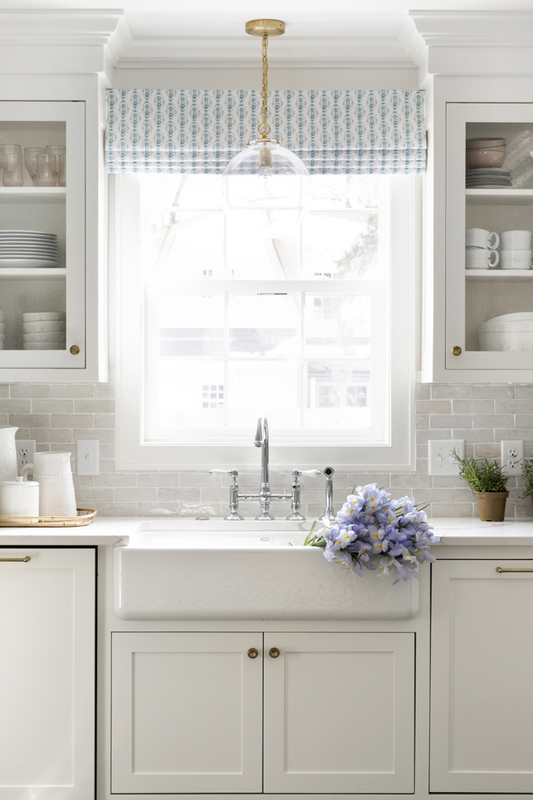 I’d love to decorate like this – lots of white, bright spaces, with rustic details. Lovely details! Love your site. Everything is just perfect!